HOPE MILLS, North Carolina (WTVD) -- U.S. Immigration and Customs Enforcement arrested a Cumberland County man wanted in the brutal murder of two men in Honduras. Francisco Escobar-Orellana, an undocumented immigrant from Honduras, was arrested Tuesday by ICE agents near his Hope Mills home. Escobar is wanted in Honduras on a May 2005 arrest warrant for allegedly hacking two men to death with a machete at a liquor store in 1993. Officials don't know how long Escobar has been in the United States or when he arrived. "ICE is focused on identifying, arresting and removing public safety threats, such as convicted criminal aliens and gang members, as well as individuals who have violated our nation's immigration laws," said Enforcement and Removal Operations Atlanta Field Office Director Sean Gallagher. 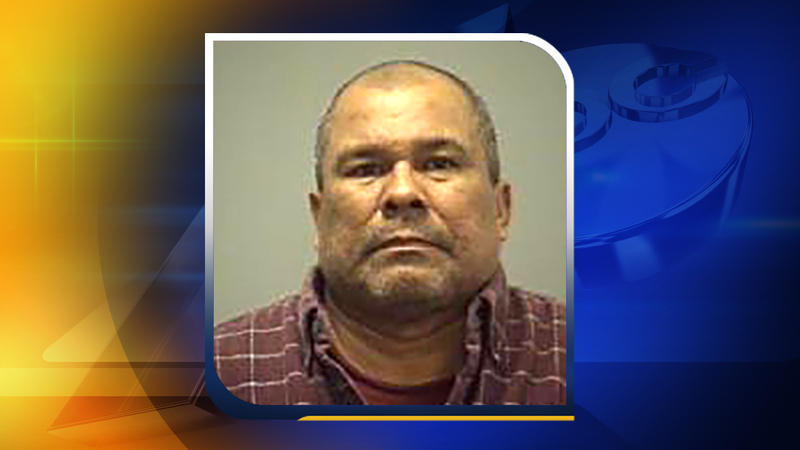 Escobar was booked into the Wake County Detention Center on Tuesday where he remains in custody. ICE has lodged an immigration detainer against Escobar and plans to send him back to Honduras to face the criminal charges. "ICE Fugitive Operations Teams conduct targeted enforcement operations toward these identified threats to public safety. North Carolina residents are safer today thanks to the professionalism and hard work of these dedicated officers," Gallagher said. Anyone with information about foreign fugitives is urged to contact ICE at the tip line (866) 347-2423 or internationally at 001-1802-872-6199. They can also file a tip online by completing ICE's online tip form. ICE said in a statement that it has removed or returned 240,255 undocumented immigrants in fiscal year 2016. Of those, 174,923 were apprehended while, or shortly after, attempting to illegally enter the United States. The remaining 65,332 were apprehended in the U.S.
ICE said the vast majority were convicted criminals.